Please note this product is on Pre Order. 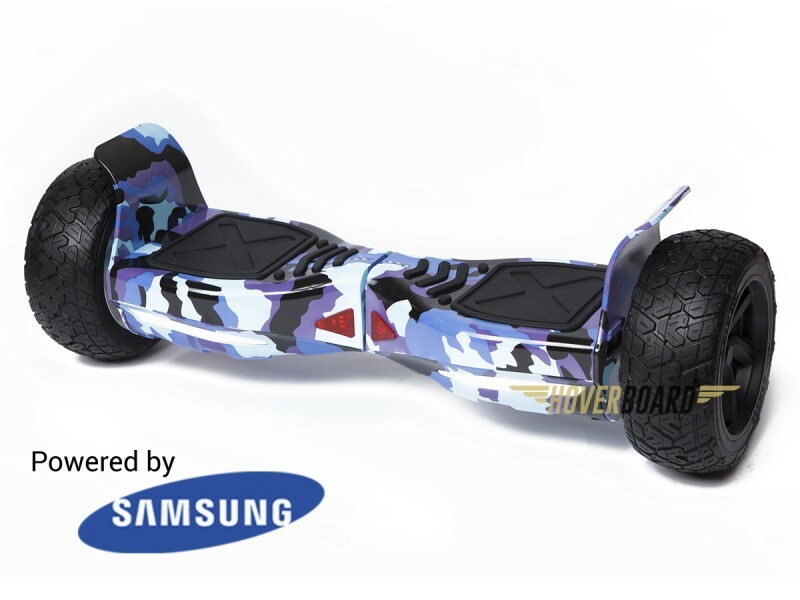 The official Electric Blue Urban Camo Drifter scooters by HOVERBOARD® is a seriously one of the most practical electric boards by HOVERBOARD®. With huge 8.5 inch Wheels and off road capabilities this is truly a prize balancing board by HOVERBOARD®. Tear up on smooth or rough terrain with this magnificent balancing board by HOVERBOARD®, a true testament to the official HOVERBOARD® name. Not only does it have an amazing grip and functionality, the Electric Drifter scooters by HOVERBOARD® has a built-in Bluetooth system, so you can blast tunes as you spin round on your Drifter by HOVERBOARD®. Another unique key feature of the Drifter by HOVERBOARD® is the size which allows you to ride this off road and complete with inflatable non-solid tyres. The new 8.5” model comes with a lifted body and wheels that are almost twice as large as the classic one. The Drifter by HOVERBOARD® has a certified battery. The Drifter by HOVERBOARD® challenges the most uneven terrains such as dirt roads or grass… It no problem for this tank of a HOVERBOARD®. Go up and over curbs without having to get off your HOVERBOARD® and enjoy an even smoother ride! Furthermore, all our HOVERBOARD® Products meet the applicable safety standards (UK) and are all certified and tested before selling. 100% safe UK Certified Balancing Board by HOVERBOARD® that will last up to 2X longer and it fully complies with all UK safety regulations! Balancing Board Size: 21.6" x 7.3" x 7.0"
Purchased for my boy and it came as scheduled and works fine, also comes with good warranty so if I have any issues, I can always send it back for a repair or new product. i got the 8.5-inch modal with the bigger dirt pads on the side, I forget the name now but, is a beasty product and looks so good when soaring though dirty and hard terrain on this, I have some taken some brilliant images of my son doing this. Very helpful team over the phone, and the actual Segway is top quality, the team where responsive and helpful.